The Resuscitation Group is an American Heart Association authorized training center based in Washington State. We proudly serve the healthcare community with high quality certification as a BLS Provider. We also offer programs for dental offices, clinics and healthcare organizations that incorporates this lifesaving training to help staff develop a coordinated response to emergencies. These programs include certification training, build staff confidence, and are designed to meet ongoing regulatory requirements you may have. 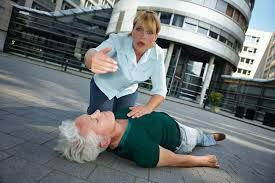 The Resuscitation Group can offer Instructor facilitated programs or a blended computer and skills program. This Blended learning is a combination of computer eLearning followed by a hands-on skills session.